After nearly 20 years and umpteen albums (is it 16? 17? 18?) 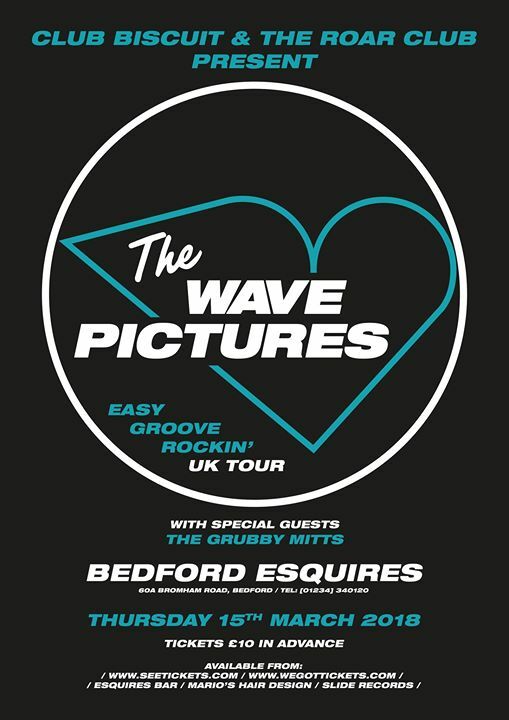 we are excited to confirm someone is finally bringing The Wave Pictures to Bedford Esquires. Much loved by 6 Music, The Wave Pictures are scarily prolific with a formidable discography. Frontman Tattersall is both a brilliant songwriter and guitarist, often compared to Tom Verlaine (Television), Jonathan Richman and Johnny Marr. With a career that now spans two decades, The Wave Pictures are much more than a cult concern. The regularly sell out venues like The Lexington (London) and The Portland Arms (Cambridge) and headline stages at Festivals like Indietracks, End of the Road, Green Man and Primavera Sound (Barcelona). Yet for some reason, they have never played Bedford. Until now. Tickets are £10 in advance, available from all the usual places. Support comes from Bedford’s own art house collective, The Grubby Mitts with their found sounds and wonky electronica.